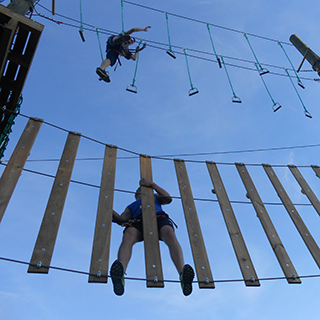 Come to SkyPark for a unique, exciting and fun packed adventure challenge! SkyPark is the new zip line adventure park in Ireland, where you can Swing, Scream, Jump, Climb and release your inner Tarzan. 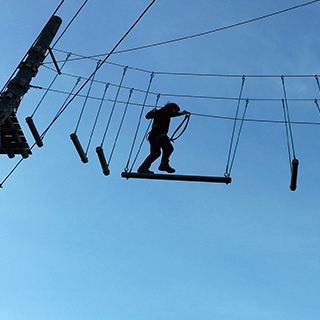 Skypark caters for Children (5yrs+), Families and Adults for a brilliant day out. Challenge yourself on zip lines, rock climbing towers, suspension bridges, tarzan swings, tightropes, rope bridges, cargo nets, base jumps, high ropes and tree houses. How it Works: Use this gift voucher on AllGifts.ie to make a booking for SkyPark in Co Louth. Or you can swap this voucher for any other gift or voucher listed on AllGifts.ie. Opening hours are seasonal,please contact Skypark on 042-9373100 for further information. *All children Under 15 yrs must be supervised by an adult. Adults can supervise from the ground (No Charge) or they can take part on SkyPark at a discounted rate. Head towards Newry, follow signs for the The Quays - a shopping centre with a multiplex cinema & Sainsburys. Skypark will operate a safe Bus drop off area at the entrance. Free Shuttle Bus will operate from the Village every Saturday. Skypark will be signposted from the village. It is about a 20 minute walk, some on the road and some on rough terrain so not suitable for pushchairs. 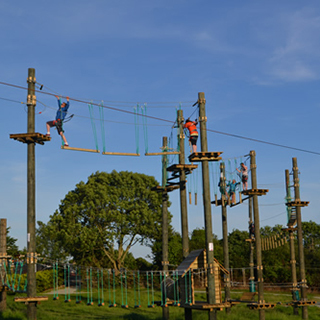 Come to SkyPark for a unique, exciting and fun packed adventure challenge! SkyPark is the new zip line adventure park in Ireland, Where you can Swing, Scream, Jump, Climb and release your inner Tarzan. 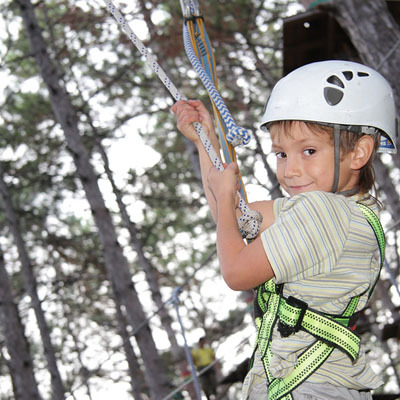 Skypark is a Zip Line Adventure Park that caters for Children (5yrs+), Families and Adults for a brilliant day out. Challenge yourself on zip lines, rock climbing towers, suspension bridges, Tarzan swings, tightropes, rope bridges, cargo nets, base jumps, high ropes and tree houses.